Could this be possible? Is it really true what I heard at the end of a telephone call made to a regional hospital? 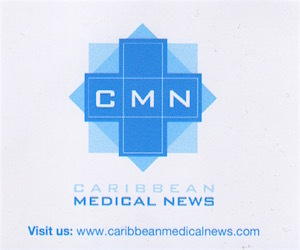 After interviewing a family who was finding it hard to admit an emaciated and very ill father to a hospital in this region, Caribbean Medical News went about calling the admissions department of the hospital to see whether this was true. We named the various illnesses that presented in Mr X (shall we say) which included uncontrolled diabetes, hypertension, loss of weight, a history of transient ischemic stroke and fatigue. When we called the admissions department, particularly since Mr X was not eating and was unable to stand at all, we were met with an interesting response. “If he is elderly, it is unlikely that the hospital will admit him. We have to keep the beds moving. We need beds for those who are really ill. Why don’t you call a doctor and see if he can be admitted to a private paying hospital. The elderly may get to casualty but we will more than likely send them back home”, she said. The lady then joked that if he were shot, he would be triaged and seen immediately. We did not find this funny and denounce her attitude as a representative from a major teaching hospital in the region. The Hippocratic Oath says first do no harm. Doctors and not necessarily administrators (whose job it is to run departments) swear to this solemn oath. I would suggest that legally, it perhaps can be suggested, that this oath ought to be part of the culture of an organization and those who work in the health care industry. For, to not extend a duty of care to any person is tantamount to neglect or gross negligence (should something unthinkable happen) and particularly so if it is a hospital. This is not easily proven legally, though. The NHS in England came under fire when an elderly man was denied care when the surgeon told him “there was no treatment available” for his bladder cancer. This was reported widely in the UK and especially in the Daily Mail. An aggressive and painful form of cancer, his daughter took him to a private doctor where he was able to get radiation treatment and all the credit goes to his daughter, a former mid-wife whose tenacity knew no bounds. He is now cancer free. In 2015, there is an even more alarming development. In an open letter published in The Lancet, an international group of ageing specialists say that the guidelines clearly prioritize the young at the detriment of the elderly. “This premature mortality target is highly unethical, since it unjustifiably discriminates against older people.We already know that there is age discrimination in cancer care and surgery and these targets give that the stamp of approval. The targets are not quite set in stone yet, so we have a final opportunity to impress upon the UN the need to alter this explicitly ageist health target. If this doesn’t happen, people aged 70 and over will become second-class citizens as far as health policy is concerned,” said Prof Peter Lloyd-Sherlock, professor of social policy and international development at the University of East Anglia, and lead author of the letter. When CMN contacted the CEO of the Caribbean hospital for clarification, he refused comment saying that the elderly were routinely dumped at the hospital with relatives refusing to look back. He said that doctors who believed an elderly person was sick enough would in fact admit that individual. This does not square with what Admissions told CMN. 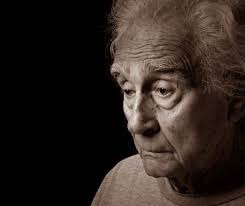 Housing each abandoned elderly person was costing taxpayers a minimum of US$250 per day per bed and this had nothing to do with medication, the cost or any medical intervention, food and the cost of nursing care. This is a matter that concerns us all. Unless we die early (in which case in the UK those under 70 are priority for medical treatment) then we shall get old and be at the mercy of general hospitals modeled after the UK NHS system and possibly fall prey to this unethical mindset. A conversation must be started by elder group associations, doctors, all stakeholders, the elderly and their relatives, lawyers and politicians on how to maintain the dignity of our elders in their latter years and enshrine in our laws, the right for the elderly to be treated for any medical complaint and admitted to hospital once hospitalization would be the normal protocol. It is repugnant that after so many years of working and paying taxes, raising families and making a contribution to the socio-economic and cultural landscape of any country that our elders may face certain death at any age just because “beds must turnover” or because a UN target must be met. If this reported “target” is to be believed and taken seriously, we can only opine that it flies in the face of all that the United Nations and their development organizations and post-2015 Agenda outcomes expect. It runs counter to the UN ethos. There is a desperate need for elder laws to protect the vulnerable in the Caribbean and an even more desperate need for a shift in culture that shows respect for our elderly who in our minds have just as much right to care as you or me.